Like most in the U.S. our bike world has consisted mostly of sports and recreational bikes like those piled high in most bike shops. Great for trails and racing, not so great for simple every-day riding like a quick trip to the store or to dinner. If you visit a bike shop just about anywhere outside of North America though, and tell them you want a bike, they’ll show you their city bikes. Only if you tell them you want to race, do a lot of off-road riding, or plan long cycle tours will they suggest anything else. Why else, they reason, would anyone want a bike that’s not so comfortable to ride and with external gears and brakes or an exposed chain, stuff that requires a fair bit of maintenance, may not work as well when wet, and that splatters gook all over your clothes? In the U.S., we’re just the opposite. 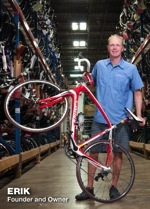 Mostly, the only bikes available are drop bar racing and touring bikes or off-road mountain, cross or hybrid bikes. But, few people actually race, tour, or ride off-road. We looked around in a number of area bike shops but nothing seemed to really stick. Some were close, but none were quite right. Yes, my mind kept thinking back to bikes in Europe. With full chain guards and racks sturdy enough to carry your girlfriend. Bikes meant for ease, comfort, and daily life. Bikes that you can hop on and ride no matter what you’re wearing. Bikes that can carry hardware purchases and groceries. Bikes that you don’t have to think about, that always work and need little or no maintenance, no matter the weather. In the end that’s what we went for, a couple of city bikes shipped to us from Amsterdam. We couldn’t be happier. Here are some bikes that you’ll see in just about every bike shop outside of North America, but not so often in Minnesota. My wife’s Omafiets is likely the most popular bike in the world. This, or slight variations, is what nearly everyone in northern Europe rides to school, work, or shopping. Omafiets are easy and comfortable to ride, changing speeds is simple and always works, and every aspect of this bike serves an important purpose. That’s why they’ve remained relatively unchanged for nearly a century (and why sort-of-an-omafiets or looks-like-an-omafiets isn’t so popular). Click for more on City Bikes. Though sometimes called a ‘girls bike’ these are actually quite popular with men outside of the U.S. Modern metallurgy has made the top tube of ‘men’s bikes’ unnecessary for most uses. The step-thru design of Omafiets is easier to get on/off. My Opafiets is the diamond frame or step-over variation of the step-thru Omafiets. 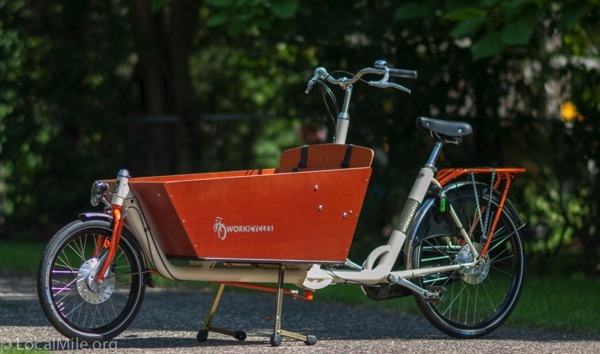 Like the Omafiets, it comes designed and built with everything you need fully integrated – from the fully enclosed chain case to the ring lock on the rear wheel to the dynamo powered lights. Click for more. A style’n Danish variation of an Omafiets. 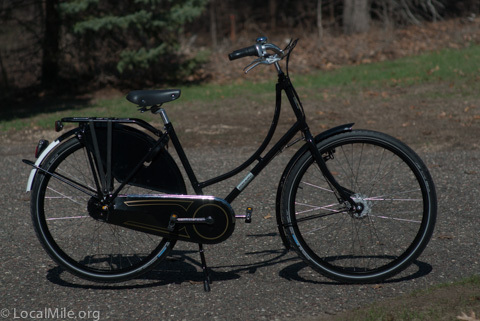 This is one of perhaps hundreds of variations from dozens of manufacturers in a half dozen countries, but it still includes the key features of the Omafiets including efficient upright geometry, enclosed chaincase, etc. Our Bakfiets is one version of a cargo bike. These are very popular for hauling children, groceries, hardware, plants, furniture, wine, cheese, or just about anything you can fit in or on it. Though originally intended just for hauling stuff, they’ve become the vehicle of choice for parents who like having their kids up front where they can talk to them and point things out as they go along and kids love riding in them. Longtails, such as this Surly Big Dummy, are another popular cargo bike. They don’t have the carrying capacity of a bakfiets, but are easier to find parking for and can more easily double as a regular daily bike. 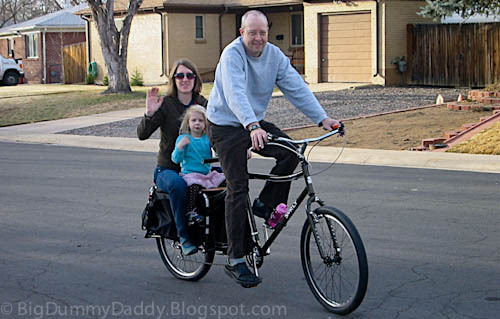 These are sometimes referred to as xtracycles though xtracycle is a manufacturer and the inventor of this style of bike. The Surly pictured above is compatible with all xtracycle accessories and is also manufactured locally in Bloomington by QBP. One major downside of this particular bicycle is that the drivetrain, chain and brakes are not enclosed and the geometry is not properly upright but slightly leaning forward which will be less efficient and create more sweating on some days. Trikes are popular for heavier cargo or built up for specific purposes. Pictured above is Lars Engstrom in 1984 on the Christiania trike he invented. 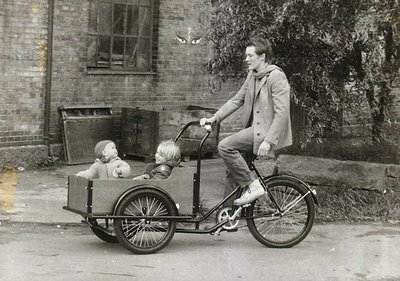 He built the first trike for his wife Annie to provide her with transportation around the car-free Christiania section of Copenhagen and soon found himself with a long list of ‘requests’. 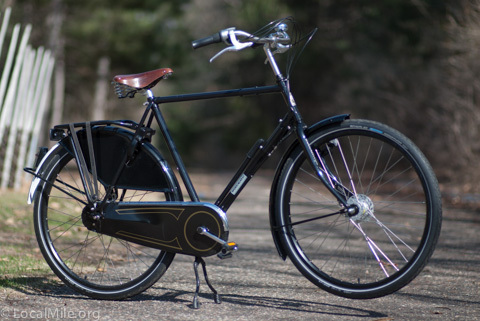 Christiania is distributed in the U.S. by Boxcycles. 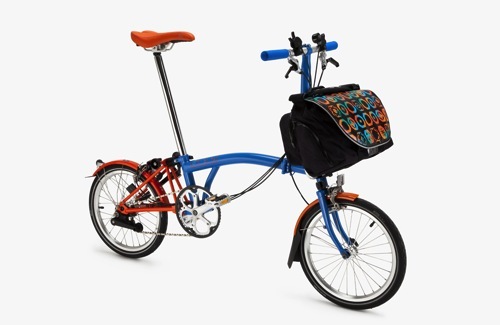 For those who need to carry their bike on trains or up lots of stairs, a folding bike, such as this Brompton Barcelona, may be a great option. Despite how they look, they ride quite well. These have become very popular in London where thousands of commuters ride them from home to the train or bus and then to the office. Electric assisted bikes, or pedelecs, have gained considerable popularity in recent years for those who may need a bit of extra help. They allow people to continue cycling as they age and help moms and dads get their loaded bakfiets up hills. Due to speeding problems and some e-bike riders being less considerate of others, many countries are increasingly restricting how much power assist is allowed on bikeways with most limiting power to 200 or 250 watts and assistance to no greater than 15 mph (generally 200 watts of assist at 1 mph tapering off to 0 assist at 15 mph). There is considerable debate about them in Europe and Asia other than speeding on bikeways. Studies have indicated that most people who ride e-bikes do not get enough exercise resulting in poor health. Doctors in many countries have begun strongly recommending that people do not ride e-bikes unless absolutely necessary. They are quick to add that they’d much prefer someone ride an e-bike than ride in a car though, particularly elderly. Everyone’s needs, desires, and budget are different. For us the traditional Dutch city bikes were the ticket. 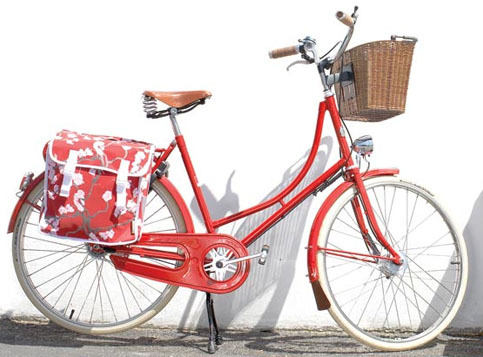 For others, Electra’s Amsterdam may be a good option or maybe a Linus or Pashley.